The waiver wire megadeal that reset the future of the Red Sox brings numerous other questions. here are a dozen or so with brief comments and possible answers. Some of the questions may overlap a bit. 1. Is this deal a signal that Bobby Valentine has won the war with the players and will return for 2013? Personally I do not think this opportunity to unload a quarter billion in payroll dollars had anything to do with the manager's situation. But I do see how it could be spun that way. The best way to illustrate how murky the manager's future still is, is to quote two Boston media vets who are close to the team. In this past week's Ask Nick mailbag on Boston.com Nick Cafardo's repsonse to the question of Valentine's future was " I do not see any way that he does not return". On Saturday's Comcast Baseball Show, Sean MacAdam answered the same question with " I do not see any way in which he returns". To still be determined, but everyone here knows I think he has to go. 2. Will the Red Sox now sign Jacoby Ellsbury to a long term, big money extension? The school of thought on Ellsbury had been since the Crawford and Gonzalez acquisitions, the Red Sox could not have 3 20M players on one payroll and Ellsbury's and Crawford's skill sets were too similar to pay 2 guys the same big money. So we have a definite answer to CAN the Sox give big bucks to Jacoby? It is now a definite YES. But the key questions are WILL the Sox want to do this and equally important does Ellsbury want to stay? I still think the answer to the last question is no. And if the Sox are truly going to be more "disciplined" ( Ben's word from the presser) do they give a Crawford size deal to Ellsbury, who actually turns 30 next year? With Jackie Bradley in the pipeline, I still would give odds that Ellsbury is traded this off season. 3. 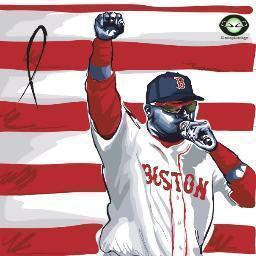 Does David Ortiz finally get his multi year deal? A this moment, the closest thing to middle of the order hitter under contract for 2013 is Will Middlebrooks. Ortiz was their only effective power hitter this year. But the current achilles injury ( which looks like is going to end Papi's 2102 season) muddies the water. With no one else seemingly giving contracts to DH only guys, Boston may be his only option. I bet the Sox bring back on a one year deal, with the slightest chance they do a 2 year deal. To further boost the middle of the order for 2013, I think they sign Cody Ross to a 2 or 3 year deal, as well. 4. Who else gets traded this week ( before Sept. 1)? I think there will be more players moved, but no more blockbusters. ( although on the day the Dodger deal was finalized, Cafardo casually tossed out that Lester and Ellsbury had been put on trade waivers that day). Likely candidates could include Aviles, Cook ( who helped his value Sat. 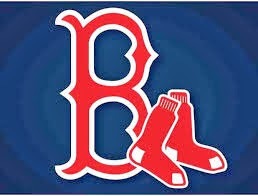 night), Padilla, maybe Aceves, and Ross would have a market but I think Boston would like to keep him. Podsednik, maybe. 5. How much more of a housecleaning of veteran players is ahead? Any other big work would seemingly come this winter. Do they completely unload all the vets ( Pedroia, Lester, Salty, Ellsbury) or do they build around these guys. At the moment the trade news broke anything seemed possible, but after Cherington's Saturday press conference, I do not believe they are looking at a all kids multi year rebuild. With the payroll flexibility they now have, there is no need to go all kids. Is there? 6. Who do they spend all this money on, or do they spend it at all? Almost immediately, even before the official announcement, the names of the only two big name free agents for this winter were tied to the Sox and their new cash windfall by fans and some media members. These gentleman are Zack Greinke and Josh Hamilton. In my opinion both of these two are horrible fits for Boston, and even if they were a fit, both big time risks for long term deals. One problem with all this new found cash is that this winter free agent ( and next years, too) are lean. A couple of maybe interesting names: Mike Napoli and Nick Swisher ( but surely not at the Jayson Werth 126M level that Swisher has said he is shooting for). Instead of signing free agents, I think the Sox may trade for players who are maybe getting too expensive for their current teams. But I do not expect their payroll to get anywhere near 175M again for a few years. 7. Do the new openings in the lineup move the timetable for Xander Bogaerts ( and other kids)? One of the problems with getting Xander to Boston at age 20 sometime next year was where to play him if he cannot stay at shortstop, which most scouts feel is true. Now left field is wide open, as would be first ( or maybe third if Middlebrook is converted to first??) I would not force feed Bogaerts to the bigs, but if he continues to rip up the minors, there is no reason to hold him back. 8. Will the fan base continue to smile if the Dodgers make the World Series? This deal seems to have overwhelming approval of Red Sox Nation, but what happens if Josh Beckett wins a couple of World Series games with AGon being the WS MVP? I think this year stunk enough, so Sox fans will still buy this deal, but there will be griping if LA wins. Wait and see. 9. Does dumping AGon and Crawford so soon into their big time deals discourage other free agents from signing here? Ben Cherington admitted they considered this, and the so called toxic clubhouse may not help either. But money talks, if the Sox want a free agent and offer the most money, they can sign guys. 10. Does this deal mean Ben Cherington is free of Larry Luchino's shackles? I think the short answer is no. This deal could have as easily driven by LL as Ben. This winter's deals may shed more light on this question. The firing of the manager would also be a signal of more autonomy for Cherington. 11. Will the relentless marking of the " Red Sox brand" ease? Will the Sox stop playing Sweet Caroline like Pete Abe and other media members cry for , or will they stop selling Fenway bricks or turning every pre-game into a Tom Werner television show? Unlikely, but if they do go younger a slight ticket price decrease would be a good gesture. Nah, that would be as unlikely as dealing your top three contracts in one mid-August trade. According to every Boston pundit there is no way you can rebuild in Boston. I disagree to a point. If the Sox imply they are building a team for 2017, then yes I agree fans will not take that. But if the Sox play guys like Middlebrooks, Lavarnway, Iglesias, Kalish, de la Rosa, with the killer B's on the way plus a couple of young additions from outside, the fandom would eat this up after the toxic '12 season. We all knew this winter would be wild, just did not expect it to start in August. I agree with just about every answer here Deacon. It's certainly going to be an interesting offseason.